The distinguishing feature of the ‘JES’ is our way of caring for every student as she or he grows to adulthood. Our identity as a school is rooted in the Jesuit / Ignatian tradition. In 2002 the Provincial announced that Jesuits will not be able to guarantee their presence in the schools in the future. 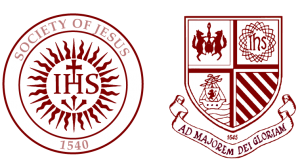 The school community is addressing the challenge of maintaining and developing our Jesuit identity through the Ignatian Identity Group (IIG). The group is made up of parents, teachers, students, Jesuits and others who are interested in working to maintain this identity. We organise Vision Evenings four times a year and help to coordinate a retreat for parents and teachers. We keep up to date with current thinking in Jesuit education, and we work closely with the school management, staff, parents’ council and board. The IIG works to equip each student for a life of active contribution in our changing society. We welcome all members of the school community to work with us.